Amb Dion Osagie has been featuring a lady and her ill son for sometime. Last night he delivered the sad news that the boy has died – a video of the corpse was also released. Two months ago, Dion introduced the lady and her son to his viewers requesting for money donations for surgery on the then 14-month old child who had a life-threatening heart condition. 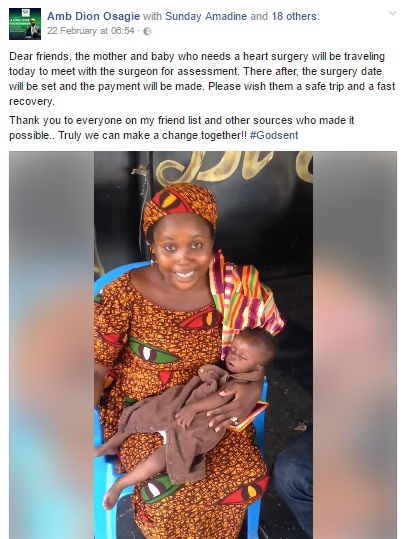 Within that time, ₦1.6million was raised, enabling consultation with the surgeon to commence. US-based Amb (Ambassador) Dion Osagie is doing some great work in Benin City, so much so he has almost 26,000 followers monitoring, praising and assisting his progress. Benin, Worldwide Heartbroken! 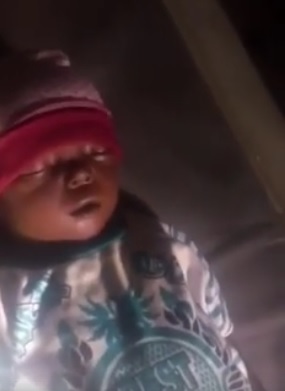 16 month old boy dies in Benin city weeks before N2 million treatment Bookmark the permalink.